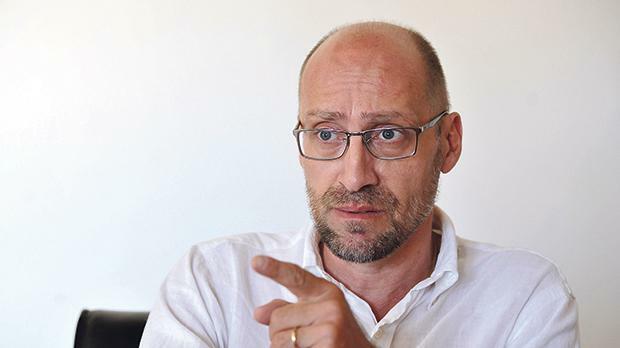 Ex-Financial Intelligence Analysis Unit investigator Jonathan Ferris decided to start carrying a gun after he was followed while walking his dog early in the morning last month, he told the Times of Malta. Mr Ferris said he informed the Police Commissioner about the incident and was offered protection for the night. In an interview on BBC Newsnight on Monday, he said he took to carrying the gun because he feared for his life. Mr Ferris said his fears stemmed from looking into claims made against top political figures by assassinated journalist Daphne Caruana Galizia. Mr Ferris told this newspaper last year he had been fired from the government’s anti-money laundering agency after he started to look into reports by Ms Caruana Galizia about allegations that the Panama company Egrant was owned by Prime Minister Joseph Muscat’s wife. Both the Prime Minister and Ms Muscat reject the allegations. Mr Ferris, who also served as a police inspector, reiterated to the BBC his belief that his sacking was political, which the FIAU denies. He said that after Ms Caruana Galizia’s assassination on October 16, he divided his notes and information into six different envelopes, which were given to six different family members and friends. They were asked to publish the information immediately should he be killed, Mr Ferris told the BBC. The BBC also spoke to Prime Minister Joseph Muscat about Ms Caruana Galizia’s murder. He said that, after the victim’s family, “if there was one person who has suffered it was him because a long shadow has been cast”. He said the assassination was not something any prime minister would want. “This does not look good on me,” Dr Muscat said. Questions about his relationship with Azerbaijan’s President Illham Aliyev, Dr Muscat listed a number of meetings that took place but said there was nothing untoward. In April 2017, Ms Caruana Galizia had reported a Russian whistle-blower saying that $1 million was transferred to Egrant by President Aliyev’s daughter through an account held at the Ta’ Xbiex Pilatus Bank. Dr Muscat insisted it would be difficult to hide even $100 in a bank, let alone $1 million. He added that if there was even a “whiff of evidence” about what Ms Caruana Galizia had reported, he would resign from his post on the spot. Asked to respond to “charges” that he was the artful dodger of Europe, Dr Muscat dismissed this as “preposterous”, saying he was definitely “not guilty of the charge”. Asked where he was a week after Ms Caruana Galizia was killed, Dr Muscat replied he did not know. When reminded he was “selling passports in Dubai”, Dr Muscat went on to defend the scheme. He said wealth was not the only key to Maltese citizenship and assured the system had never been overridden by himself or any other minister.